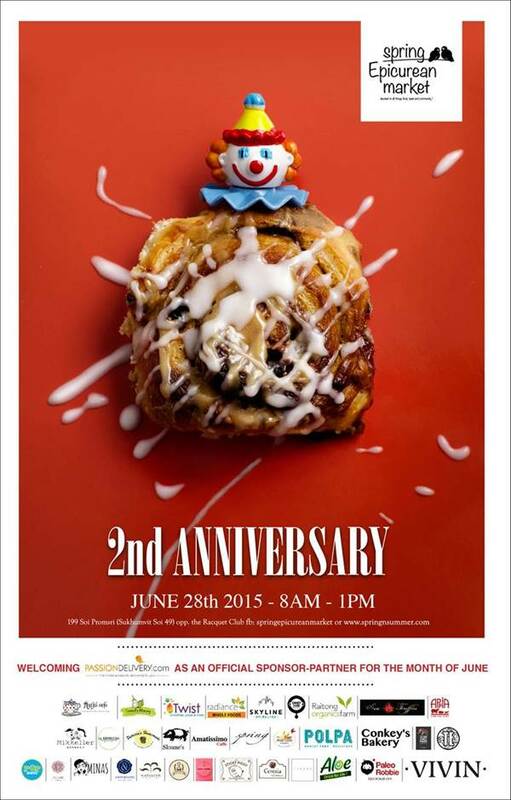 Eat cake for breakfast to celebrate the 2nd Anniversary of the Spring Epicurean Market. The easiest Sunday morning in Bangkok! Friends, great food, a fabulous lawn. Come along! Proudly sponsored by Passion Delivery.